The perfect set to keep at Grandma's house. The picture book is a great gift for (or from) grandma. It gives important tips on "babysitting," including what to eat for snacks, what to do on walks, how to play, things to do at the park, places to sleep, and how to keep a grandma busy. Hardcover, 32 pages. Ages 5 and up. 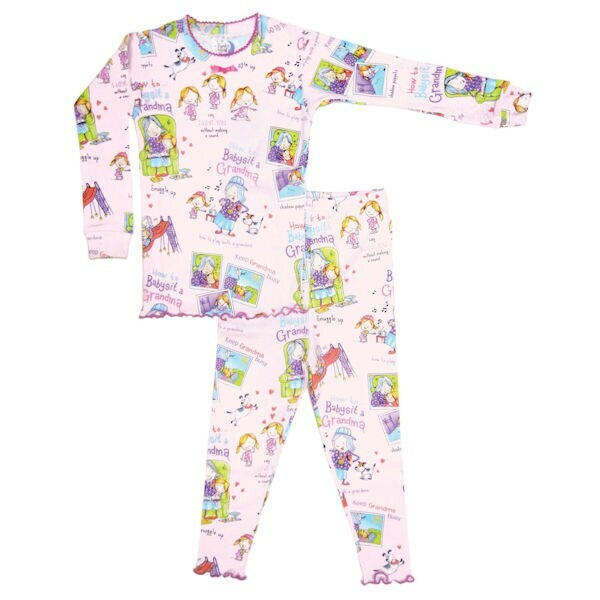 Two-piece printed jammies are 100% cotton. Children's sizes 2T, 3T, 4T, 5, 6. Machine wash. Made in USA.